With Quebeckers set to hit the polls in a week, analysts predict shares of the provinces biggest banks - National Bank of Canada and Laurentian Bank of Canada - will take a hit. 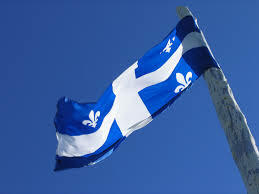 Analysts attribute this partly to investor concern about the separatist sentiment during the campaign and its impact on the Quebec economy. Historically, the National Bank has performed worse prior to the elction, but has bounced back once results are released. A Liberal majority has typically generated the best outperformance for the bank, with its stock rising an average of 300 bps (basis point), versus Canada's Big 5 banks, within a month of the election. Laurentian Bank's performance is typically more in line with the Big 5. A Parti Quebecois majority historically benefits the bank to the same degree as a Liberal majority for the National Bank. The exception came during the last election when a PQ minority generated poor performance for National Bank - a lag of 80 bps a month following the election - and proved weak for Laurentian Bank as well.